Fundraiser tickets include hand-crafted heavy hors d'oeuvres by Chef Jeremy of Duck City Bistro featuring an eclectic mix of gourmet foods. Tickets also include your first cocktail or beverage; a full cash bar will be available, as well. Fundraiser tickets are $50 per person. Guests are encouraged to enjoy the creative menu of food and drinks while mingling with friends to benefit a great cause. 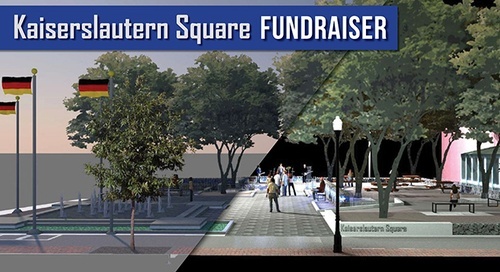 100% of event proceeds will go toward building a completely redesigned pedestrian-friendly park, including an upgraded fountain, new stage, shade trees, LED lighting, and more.